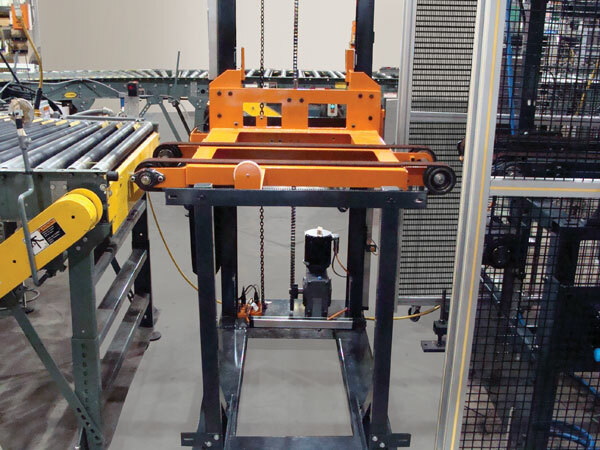 The sorting station accepts the tire from the previous station, either the testing station or the marking station, and sorts the tire or tire and wheel assembly according to a customer chosen grade. The unit can be programmed to automatically direct the tire to the proper conveyor for handling. It is programmable for up to 6 different sorting grades and heights. A 3-position tilting conveyor is also available to meet customer tire handling requirements. This conveyor pivots at one central location making it possible to sort tires to up to 3 different customer supplied conveyors depending on customer grade requirements. For more information, please consult the Micro-Poise factory.